Saskatchewan's post-secondary education system encompasses the province's public and private learning institutions: two universities, which includes four federated colleges and six affiliated colleges; one polytechnic; eight regional colleges; four Aboriginal and northern educational institutions; 38 vocational schools; the apprenticeship and trade certification commission; and other learning institutions (i.e. theological colleges). 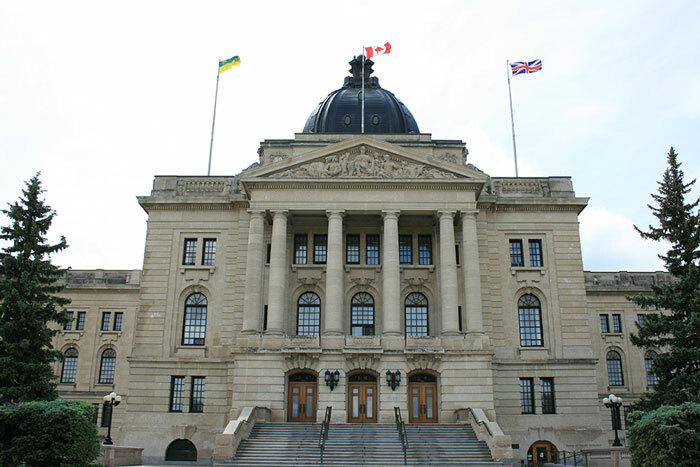 Various pieces of provincial legislation establish the roles, responsibilities, governance and funding of the institutions and essentially establish the framework for the post-secondary education system in Saskatchewan. 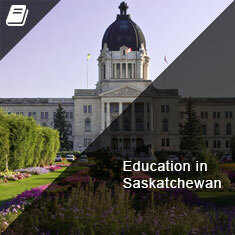 Saskatchewan Advanced Education is the provincial ministry responsible for Saskatchewan's postsecondary education system, including adult learning. The University of Saskatchewan, located in the city of Saskatoon, was established by an Act of the provincial legislature in 1907, just two years after the province joined Confederation. In 1912, the university assumed responsibility for educational programs that previously were provided through the provincial Department of Agriculture. 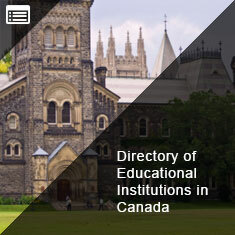 The University of Saskatchewan has one federated college -- St. Thomas More College -- and seven affiliates -- St. Andrew's College, the Lutheran Theological Seminary, Horizon College and Seminary, St. Peter's College, the College of Emmanuel and St. Chad, Briercrest College and Seminary, and the Gabriel Dumont Institute of Native Studies and Applied Research. The University of Regina, located in the city of Regina, was established as Regina College in 1911. The college became a constituent part of the University of Saskatchewan in 1934. It obtained degree-granting status as a separate institution in 1974. The University of Regina has three federated colleges -- Campion College, Luther College, and First Nations University of Canada (formerly known as the Saskatchewan Indian Federated College) and one affiliated college -- the Gabriel Dumont Institute of Native Studies and Applied Research. The University of Regina also has an affiliation agreement with Saskatchewan Polytechnic to deliver a Bachelor of Science in Nursing program. Several other postsecondary institutions trace their histories to the early decades of this century. Luther College was founded in 1913, Campion College in 1917, and St. Thomas More in 1936. The Saskatchewan Indian Federated College, the only fully accredited First Nations-controlled university college in North America, was founded in 1976. In June 2003, the Saskatchewan Indian Federated College relocated to a new building and officially changed its name to the First Nations University of Canada. The Saskatchewan Indian Institute of Technologies (SIIT) was founded in 1976 to offer educational programs to First Nations adults through an academic partnership with Saskatchewan Institute of Applied Science and Technology (SIAST). On July 1, 2000, the Saskatchewan Indian Institute of Technologies Act was established to allow SIIT to design, establish, and provide courses and programs of study, instruction, and training in academic, applied, scientific, trade, technical, and vocational fields. The Gabriel Dumont Institute of Native Studies and Applied Research (GDI), the only wholly M¨¦tis owned and controlled educational institution of its kind in Canada, was established in 1980 to provide educational and cultural programming to the province's M¨¦tis and Non-status Indian populations. As the educational arm of the M¨¦tis Nation - Saskatchewan, the institute works cooperatively with a number of educational partners and is affiliated with the University of Saskatchewan and the University of Regina. The institute also has a federation agreement with SIAST to have its subsidiary, the Dumont Technical Institute (DTI), deliver adult basic education and skills training. SIAST was established by the provincial legislature in 1987 with an Act that amalgamated four technical institutes, an advanced technology centre, and four urban community colleges. Today, SIAST is known as Saskatchewan Polytechnic (Sask Polytech) and has four campuses -- Saskatoon Campus, Moose Jaw Campus, Regina Campus, and Prince Albert Campus¡ªthat offers a wide range of programs, including adult basic education, certificate and diploma programs, apprenticeship training programs, cooperative education, and customized training. In July 2012, Sask Polytech became authorized under The Degree Authorization Act to deliver a Bachelor of Psychiatric Nursing degree. The province's seven regional colleges were formed in 1988, based on colleges originally formed in the 1970s and given the mandate to broker university and Sask Polytech programs to communities throughout the province. Regional colleges also offer a wide array of programming and services such as adult basic education and literacy training, customized training for industry, and career counselling. Lakeland College (established under Alberta legislation) also provides education and training programs and services to Saskatchewan residents in the Lloydminster area. The Saskatchewan Apprenticeship and Trade Certification Commission (SATCC) was established in 1999 to create a relevant, accessible, and responsive apprenticeship training and certification system to meet employers' and employees' needs and priorities. SATCC is responsible for managing and administering all apprenticeship training for apprentices in Saskatchewan. Apprenticeship technical training is delivered by Sask Polytech, SIIT, regional colleges, private vocational schools, SaskPower, the Saskatchewan Tourism Education Council, and out-of-province colleges. The University of Saskatchewan offers a broad range of undergraduate, master's, doctorate, and post-doctorate and research programs. These include programs in the arts and sciences, agriculture, kinesiology, physical therapy, biotechnology, medicine, law, engineering, pharmacy, education, dentistry, commerce, and nursing. The university is also home to the Western College of Veterinary Medicine, which serves all four Western Canadian provinces. 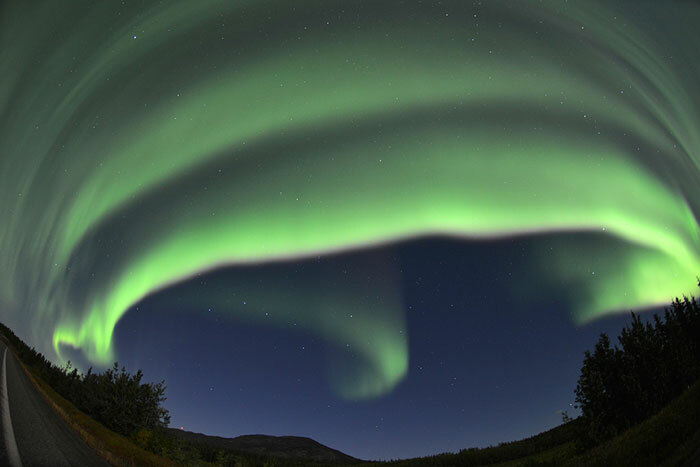 The University of Regina offers undergraduate degrees through the faculties of: Arts; Business Administration; Education; Engineering and Applied Science; Media, Arts and Performance; Kinesiology and Health Studies; Nursing; Science and Social Work. The university also offers a number of graduate student programs at the master's and doctoral levels, as well as one- and two-year certificate programs in fields such as vocational education, visual arts, computer science, human justice and social work. 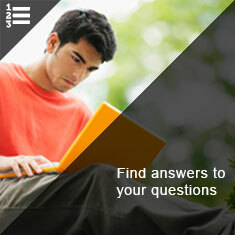 For both universities, general arts and science degrees usually require four years of full-time study. Honours degrees, which require a higher concentration in the honours subject and a higher level of academic performance, are offered as well. This is also true of undergraduate degrees in specialized fields such as journalism, education, engineering, agriculture, commerce, nursing, and social work. Students registered with the universities' federated colleges earn degrees from the parent university. Most of the affiliated colleges grant degrees in theology and divinity. First Nations University of Canada (FNUniv) is academically federated with the University of Regina. Its mission is to enhance the quality of life and to preserve, protect and interpret the history, language culture and artistic heritage of First Nations. Through its Board of Governors, FNUniv is under the jurisdiction of the Federation of Saskatchewan Indian Nations (FSIN). FNUniv serves both First Nations and non-First Nations students in an atmosphere of First Nations cultural affirmation at their three campus locations in Saskatchewan -- Regina, Saskatoon, and Prince Albert. Sask Polytech offers a broad range of career-oriented certificate and diploma programs in applied/visual media, aviation, business, community/human services, engineering technology, health services, hospitality/foodservices, industrial/trades, natural resources, nursing, recreation/tourism, science and technology. In addition, the institute offers adult basic education, vocational training, customized training for industry, and various cooperative education programs. Sask Polytech diploma programs require two years of full-time study, while certificate programs are usually completed in one year. Some of Sask Polytech's programs include a mandatory cooperative education component, where students spend 16 to 19 months in academic study and an additional 11 to 12 months engaged in paid work experience. The Saskatchewan Indian Institute of Technologies (SIIT) offers certificate and diploma programs in administration, business administration, Indian business management, local health administration, integrated resource management, integrated land management, automotive service technology, community health, and chemical dependency worker training. Certificate programs usually require 24 weeks to one year of full-time study. 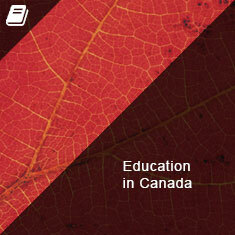 Diploma programs generally require two or three years of full-time study. 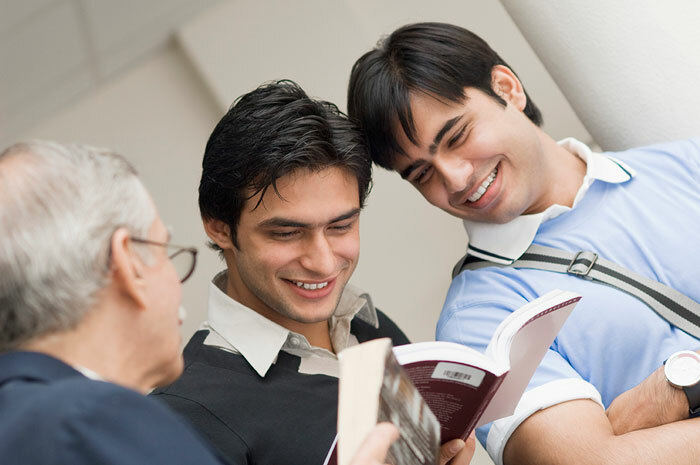 The institute also offers various adult basic education and literacy programs. In cooperation with the University of Saskatchewan, the University of Regina, and Sask Polytech, the Gabriel Dumont Institute of Native Studies and Applied Research and its subsidiaries offer certificate and diploma programs in Native human justice, M¨¦tis management, M¨¦tis social work, M¨¦tis entrepreneurship, chemical dependency worker training, adult basic education, vocational and preparatory programs, and the Saskatchewan Urban Native Teacher Education Program (SUNTEP). Certificate programs can require one or two years of full-time study; diploma programs usually require two years of study. SUNTEP and the Northern Teacher Education Program (NORTEP) offer a four-year bachelor of education program for aboriginal teachers in cooperation with the Saskatchewan Ministry of Advanced Education and the two universities. Dumont Technical Institute (DTI) maintains a federation agreement with Sask Polytech, which allows it to broker provincially and nationally accredited programming. DTI also delivers basic education courses and partners with SIIT and regional colleges in the delivery of other technical and community-based programs. The Saskatchewan Apprenticeship and Trade Certification Commission (SATCC) manages apprenticeship training and trade certification for the 47 designated trades in Saskatchewan. Apprenticeship training varies by trade but is typically delivered over four years, including up to eight weeks of technical training sessions each year and on-the-job training provided by employers. At the end of the training period, apprentices write an examination and, if successful, receive a Journeyperson Certificate issued by SATCC. The province's regional colleges broker programs and courses offered by Sask Polytech and the universities to communities throughout the province. There are 38 private vocational schools in Saskatchewan offering a broad array of employment-related training programs in areas such as business and computer skills, cosmetology and esthetics, fashion design, hospitality management, massage therapy, and radio and television broadcasting. Private vocational schools are privately owned and operated. For consumer protection purposes, legislation requires that the schools, along with their programs and instructional staff, be registered with the Saskatchewan Ministry of Advanced Education. The universities, Sask Polytech, regional colleges, and M¨¦tis and First Nations institutions also provide an array of university and technical credit courses, as well as other postsecondary education and training opportunities by alternative means to increase opportunities for people in Saskatchewan to access flexible, high quality education and training at times and in places that best meet their needs. Courses are offered on-line via the Internet both on- and off-campus, as well as televised and mixed mode courses, using the provincial satellite telecommunications infrastructure provided by the SaskTel E-Learning Communication Network. The universities and Sask Polytech also offer independent home-study programs at a distance using one of a combination of print, video and audio tapes, Internet, video- and web-conferencing, and other communication media. First- and second-year university courses, technical programs, and general interest, non-credit courses are delivered to communities throughout the regional colleges across the province via the SaskTel Network. Off-campus instruction is provided through satellite communication, computer technologies, and independent study. Secondary school includes grades 10 through 12. Complete secondary-level standing requires 24 credits, with each credit representing about 100 hours of classroom instruction. The two universities require secondary-level standing for admission. Some programs require minimum grade point averages of 65 per cent or more. 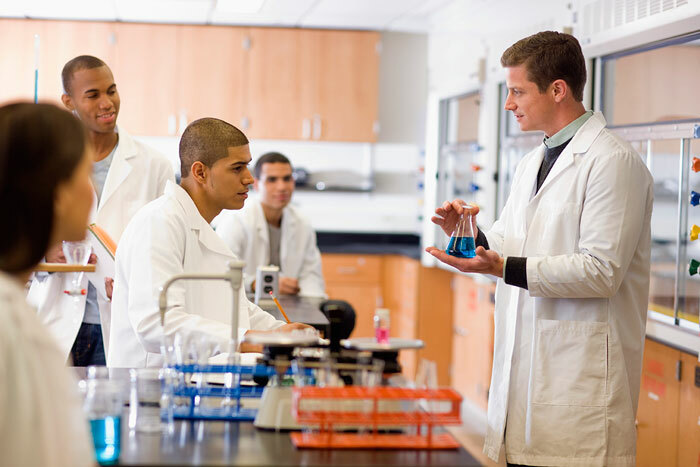 Admission requirements for Sask Polytech certificate and diploma programs vary from program to program but generally include secondary-level standing, with specific high school course requirements for some Sask Polytech programs. Although the majority of trades no longer require specific prerequisites to enter apprenticeship training, employers will indenture apprentices only if the individuals have the educational qualifications, skills, and aptitude needed to be successful in the trade. It is recommended that individuals who plan to enter apprenticeship training complete high school, since many of the trades require math, science, and communications. Most of the province's postsecondary institutions have special provisions for mature students who have not completed high school. At the universities, tuition varies according to the faculty or college that students choose. Undergraduate tuition in 2015-16 at the University of Regina was $5,970 and, at the University of Saskatchewan, $5,636. For comparability purposes, these figures are based on first-year Arts program tuition fees. For graduate programs, domestic tuition at the University of Regina was $4,680 and at the University of Saskatchewan was $3,804. The universities have a differential fee structure for international students. For all undergraduate programs except dentistry, the University of Saskatchewan charges international students a differential fee which is 2.6 times the fee charged to Canadians and permanent residents. At the University of Regina, the differential fee for visa students is three times that charged to Canadians and permanent residents. For graduate programs, international students at the University of Regina pay a surcharge of $1,000 per semester, up to $3,000 per year. At the University of Saskatchewan, international graduate students pay 1.5 times the fees charged to Canadian students. Tuition fees for a Sask Polytech 30 week program in 2015-16 averaged approximately $4,242, but they vary from program to program. In July 2002, tuition fees were implemented for apprenticeship technical training. As of January, 2015, these fees were $85 per week in most programs. Beginning in 2012, the Saskatchewan Advantage Scholarship (SAS) program provides all Grade 12 graduates in Saskatchewan, including Adult Basic Education and General Educational Development (GED) graduates, with up to $500 per year, to a maximum of $2,000, which will be applied to their tuition costs at a Saskatchewan post-secondary institution. It is estimated that close to 4,600 new high school and GED graduates will benefit from the SAS each year. The new scholarship will provide an incentive for all high school graduates to pursue a post-secondary education. The Saskatchewan Advantage Grant for Education Savings program provides a grant to a Registered Education Savings Plan at a rate of 10% of a subscriber's contributions to a maximum of $250 per child per year. 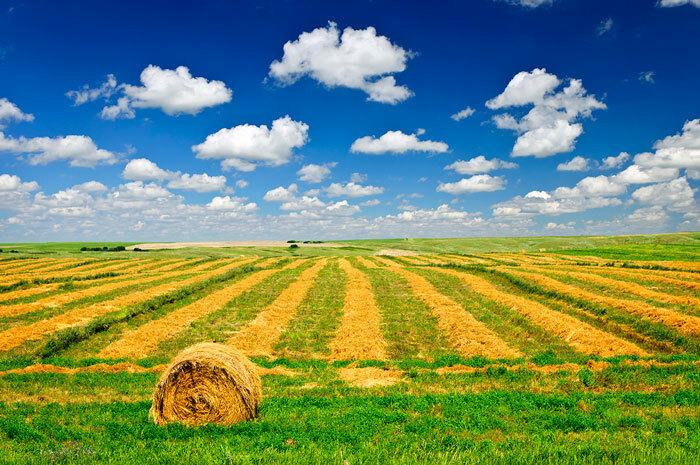 Saskatchewan has partnered with the federal government, Canadian financial institutions and educational savings promoters to deliver the program and ensure processes are streamlined. Subscribers are eligible for the Saskatchewan Advantage Grant for Education Savings program retroactively for up to 3 years if they transfer from a non-offering promoter to an offering one. Over 12,000 loans have been authorized as of February 28, 2016, for the 2015-16 loan year. Over $136M has been authorized of which $82M was federal assistance and $54M was provincial. This was approximately a 4% increase from 2014-15. The average amount of assistance authorized to individuals was approximately $11,267; which is slightly higher than the 2014-15 loan year. About 56% of overall Saskatchewan financial assistance to students is non-repayable. Saskatchewan Innovation and Opportunity Scholarship (SIOS) program provides $5M to be matched by funds raised by post-secondary institutions making close to $10M available to post-secondary learners. The Government of Saskatchewan created the Scholarship of Honour to provide recognition to Canadian Forces soldiers (regular and reserve) who served in designated military operations since January 2001. The Scholarship is available to returning soldiers and to the spouse and children of disabled or fallen soldiers. The Scholarship provides a one-time award of $5,000. Other awards administered by Saskatchewan Advanced Education include: French Language bursaries; Queen Elizabeth II Scholarship for Parliamentary Studies; and, the Queen Elizabeth II Centennial Aboriginal Scholarship. The Graduate Retention Program provides up to $20,000 in non-refundable provincial tax credits over seven years, provided the individual files Saskatchewan income tax for each of those years. 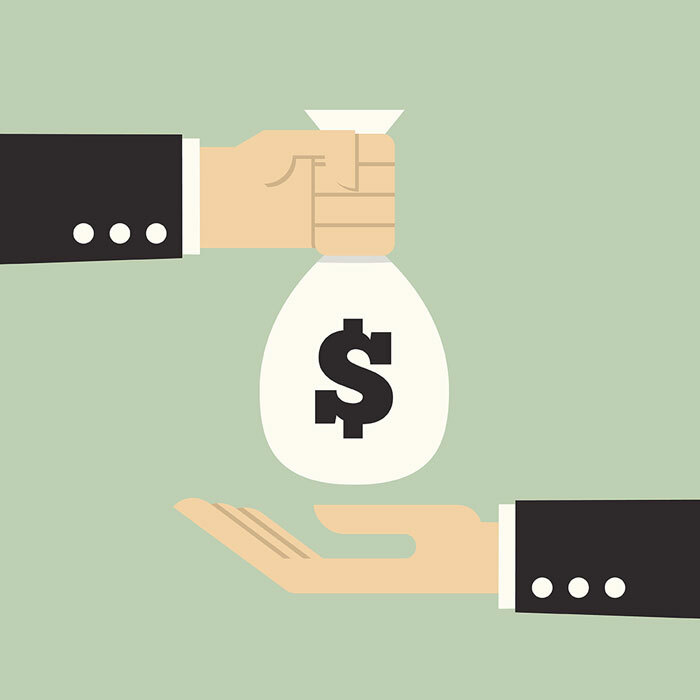 Individuals have up to ten years from the year of graduation to utilize their tax credits. The non-refundable tax credit is based on the actual tuition paid as indicated on the T2202A receipts issued by the post-secondary institution, up to a maximum amount depending on the credential earned. In the first four tax years, the graduate will receive 10% of the maximum tuition tax credit each year; and the final three tax years, the graduate will receive 20% of the maximum tax credit each year.